Out the door with Data from the Next Generation, with Johnny 5, with the Small Wonder. This little guy never made 3-PO quips or pulled the stunts and whistles of the little R2 unit. The voice of Peter Sarsgaard will not awaken AI to allow the machines to scorch the sky. It will not instigate the murder of the one who could destroy Skynet. It has no dream of humanity. It doesn’t dream. It listens. It cooks & cleans. It assesses quality of life, becomes a daily companion, and verbalizes only curiosity, encouragements, and suggestions to the one human to whom it is assigned. Wow. 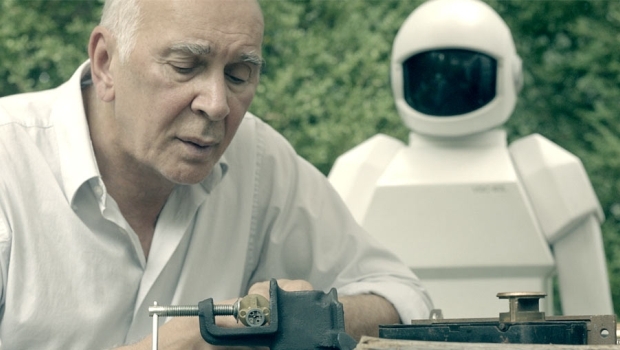 Bianca from Lars and the Real Girl may have been upstaged by Robot in this little indie film. Newbies Jake Schreier and Christopher Ford wrote and filmed a version of this in college, then got the green light to make it with much bigger budget this last year. The acting cast is stellar. No complaints. I love Marsden, Tyler, Sarandon, and especially Frank Langella as the cantankerous retired cat burglar suffering from dementia. 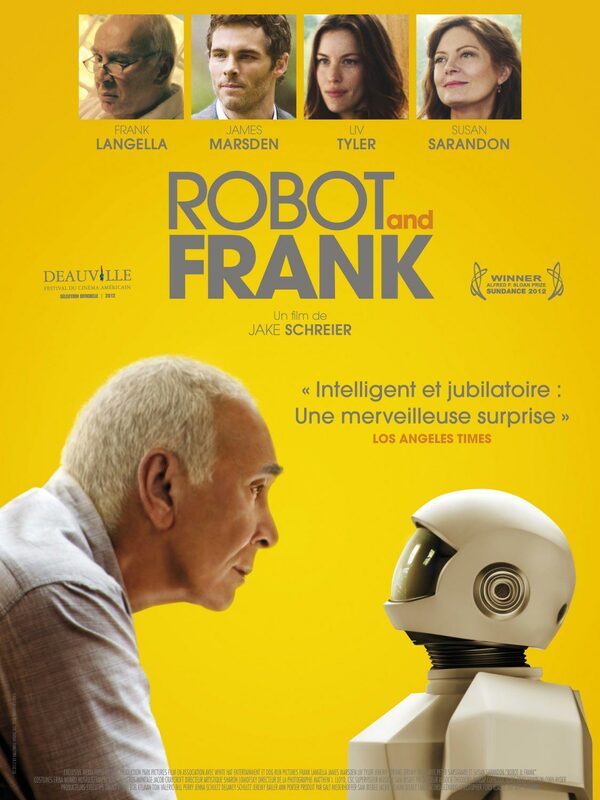 Slower moving but not without its twist endings, Robot & Frank is worth a watch. It’s too bad small movies like this get lost in all the blockbuster hype. I’ll have to catch it on Netflix!